Once upon a time I was really hungover in Vegas and my friends has already left to White Castle. 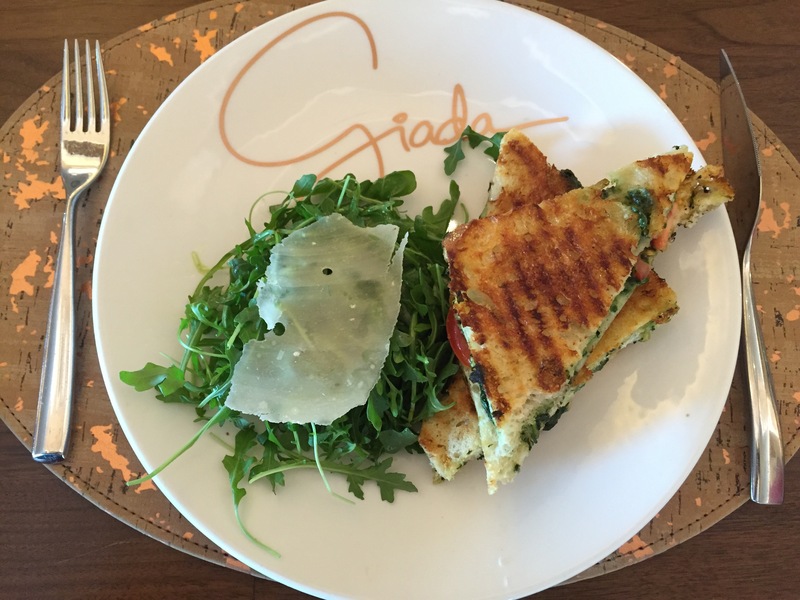 I took matters into my own hands and had brunch by myself at Giada. The Lemon Pesto Grilled Cheese is insane. The side of arugula salad is a nice fresh touch to the heaviness of the sandwich.